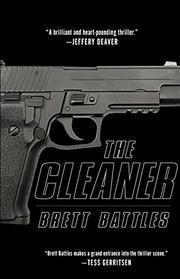 A lone “cleaner” is drawn into the action in this globetrotting debut thriller. Jonathan Quinn usually enters the scene after the hit. A freelance “cleaner” who removes traces after high-end assassinations or espionage jobs, he has found himself increasingly working only for the shady governmental bureau known simply as the Office. This reliance makes him vulnerable. Still, he considers himself unaligned, so it is a shock when a massive attack, or “disruption,” on the Office includes an attempt on his life. Escaping with his green apprentice, Nate, to Vietnam, Jonathan discovers that he was actually a target. After another attempt, in Berlin, that takes Nate and nearly grabs his long-ago colleague and unrequited love, the beautiful Eurasian Orlando, he must go on the offensive, tracking down first the sadistic, scary Borko, then uncovering who is really trying to destroy the Office and unleash a bioterror virus. When Orlando’s son, Garrett, is kidnapped, the hunt becomes more personal and stranger still. Garrett’s father was Durrie, Jonathan’s mentor, and both he and Orlando had thought the older “cleaner” long dead, but evidence points to a complicated betrayal rooted in an imagined love triangle from years before. While Battles presents a complex plot and has a knack for mixing dialogue and action, this debut feels a bit paint-by-numbers. Only the cars, usually driven at high speeds, are described in detail, while exotic locales, such as Ho Chi Minh City, sound lifted from guidebooks, and too many characters, such as the desirable but elusive Orlando, remain ciphers. In fact, except for his lust for Orlando, which he unsuccessfully tries to quash, and his desire to remain alive, Jonathan himself barely seems to feel. While this is a professional asset, his changing circumstances would seem to demand something more. A formulaic thriller that serves up the action but is peopled by stock characters.